Built 1887-1891 by Francesco Tamburini and Giuseppe Franceschi as "Teatro Rivera Indarte". Named in honour of the Argentine journalist and poet, José Rivera Indarte (1814-1845). Later renamed in honour of the Argentine patriot, General José de San Martín (1778-1850). 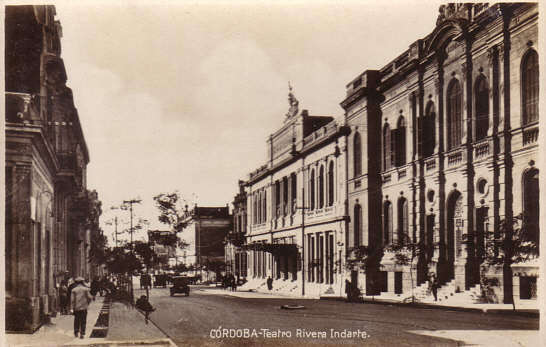 Front Text: "Córdoba, Teatro Rivera Indarte"